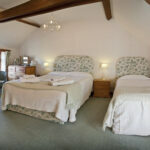 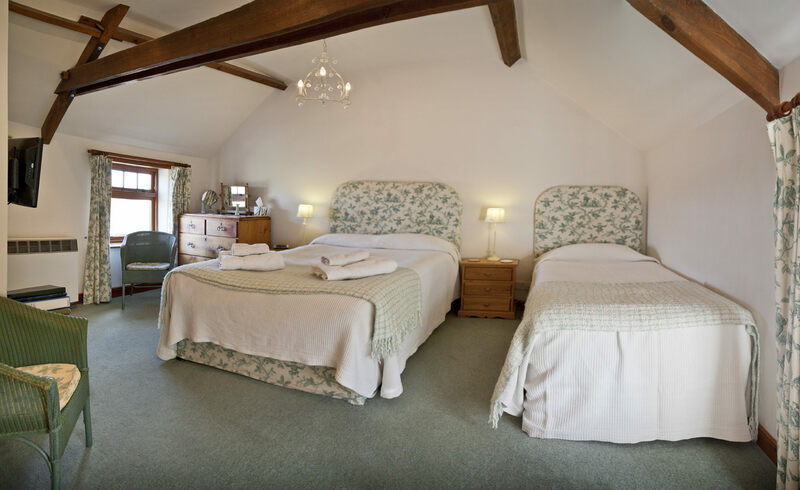 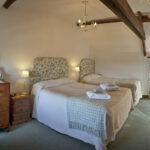 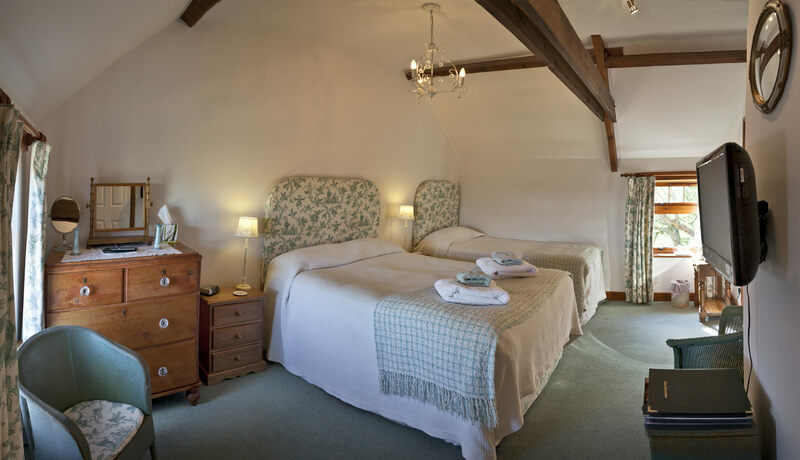 Granary Pine is a twin/double room with bespoke and antique furniture. 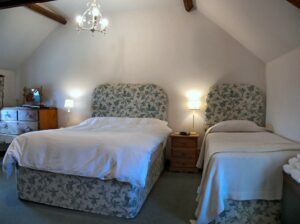 There are views over looking the garden. 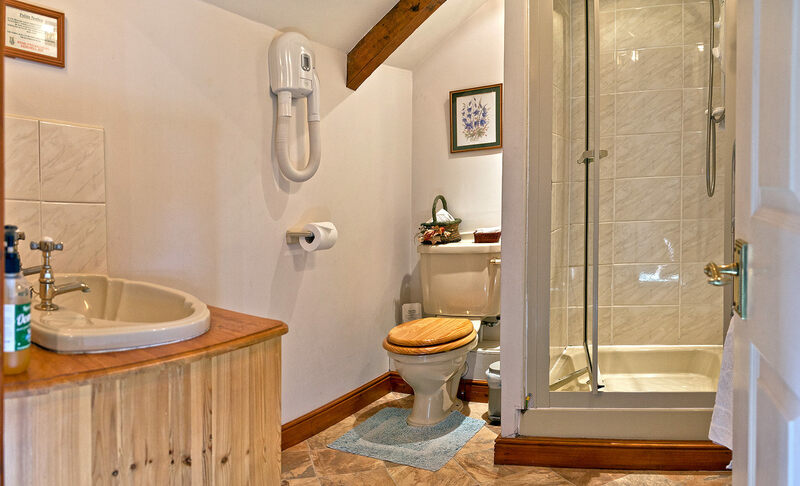 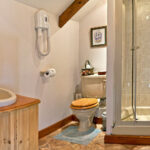 The en suite is beamed with a shower and electric hairdryer.